The management of emergent neuro-ophthalmic conditions can be a life-saving encounter for the general ophthalmologist. This book covers life-threatening scenarios that a general ophthalmologist might encounter, and is designed to help the ophthalmologist make emergency triage decisions for initial evaluation and treatment of potentially vision- or life-threatening conditions. 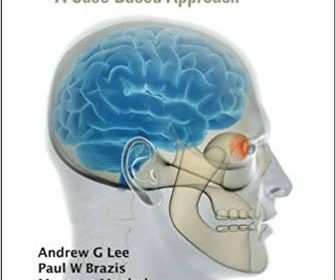 This book is case based, and provides the reader with the invaluable expert views of two neuro-ophthalmologists. One, Dr Lee is an ophthalmology-based neuro-ophthalmologist and the other, Dr Brazis is a neurology-based neuro-ophthalmologist. Dr Mughal and Dr Policeni collected and collated the case vignettes during their fellowship with Dr Lee at the University of Iowa Hospitals and Clinics.This textbook provides a concise, easy to read, and practical guide to the emergent evaluation of neuro-ophthalmic conditions. It is designed to be a quick read and not to be all-inclusive or comprehensive. The reader is directed to longer and more comprehensive neuro-ophthalmic texts for this information. It is also not the aim of the book to provide information on anatomy, pharmacology, physiology, or other basic mechanisms of disease. Instead, this text is meant to be a quick reference and resource for the clinician in the emergency room or in the clinic facing a potentially vision- or life-threatening emergency and to provide immediate guidance for potentially “high stakes” decision making. The case vignettes are based upon real clinical cases but the clinical details of each case have been modified for teaching purposes and represent composite rather than individual histories.